It is saddening to note that the Heads of States for the SADC region failed to hold Mugabe to the fire at the just ended symposium. Instead they characterized him as a champion in the fight against white supremacies. While it is true that whites have done some very dissolute things the world over against other races in their quest for power and wealth in the past, there have also been times when they meant well for the sake of common good, especially the Brits at least. 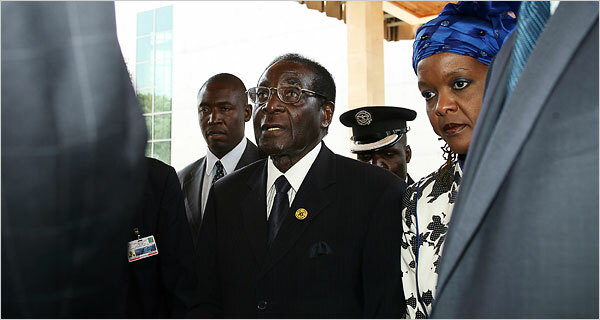 Mugabe can’t hide being racial remarks as a cover-up for the British led embargo and sanctions this time around. We actually think that the Brits of all people have been impartial in their application of justice when it comes to then Southern Rhodesia and now Zimbabwe. 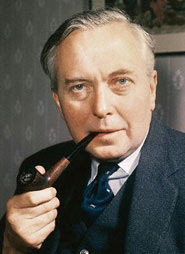 In 1965, then British Prime Minister, Harold Wilson declared sanctions against Salisbury because Ian Smith was threatening Zambian sovereignty using economic saboteur tactics. Ian Smith was worried that the moderate Kenneth Kaunda would be very instrumental in helping black Zimbabwean’s get their independence from his white minority government. Ian figured that if he cut off power at Kariba since he controlled the turbines and generators of the giant Kariba Dam on the Zambezi River, the Copperbelt – Zambia’s economic engine then would ground to a halt and he did. Dr. Kaunda told the Brits he would ask the Russian for military help and Prime Minister Wilson offered help instead. He (Wilson) offered to send a token force—a squadron of R.A.F. fighters and a battalion of the Royal Scots—to the Copperbelt. President Kaunda accepted the air protection (Zambia only had ten military aircraft of its own), but rejected the offer of troops unless they were sent directly to the dam. Not quite so funny were the new economic sanctions that Wilson slapped on then Rhodesia. In addition to the embargo on Rhodesian tobacco and sugar (the nation’s major crops), Britain also banned imports of asbestos (a $30 million export item annualized), copper, lithium, chrome, iron, steel and meat. That made the embargo 95% complete. Simultaneously, Wilson ordered a halt to interest payments, dividends and pensions from Britain to Rhodesian residents, thus damming a flow of income that totaled some $25 million the previous year. Sir Harold Wilson even outlawed Rhodesia’s bright new independence postal stamp as British postage. The Brits did all this against their own white brothers because then Ian Smith was attacking Zambia’s economic sovereignty and interests; it made world news that Time Magazine carried this as a cover story in their Friday, December 10, 1965 issue. This white supremacy crap we are getting from Mugabe can only hold water to those without a deep understanding of history. What is needed is a consented effort to force Mugabe to do the right things for the Zimbabwean Enterprise. Mugabe needs to respect human rights, he needs to respect the tenets of democracy and he needs to do things in the interest of the common Zimbabwean. No country has ever survived by not paying attention to their own issues face on and inflation at 4500% is simply unconscionable. A few months ago, President Levy P Mwanawasa, SC. called the Zimbabwean crisis for want it was “a sinking Titanic” and the torn was right then and should be amplified now; that’s the memo this week from us at the Zambian Chronicle … thanks a trillion.